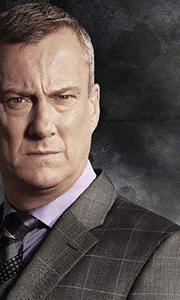 Stephen Tompkinson (Wild at Heart, Grafters) leads the cast as detective Chief Inspector Alan Banks, based on the hugely successful novels from award-winning international crime writer Peter Robinson. Tompkinson stars in the TV adaptation of three Inspector Banks novels: Playing with Fire, Friend of the Devil and Cold is the Grave. In Playing with Fire two bodies are found after a fire on some narrow boats and Banks and DS Annie Cabbot ..
Stephen Tompkinson returns as Detective Chief Inspector Alan Banks, in the hit series based on the novels of the award-winning crime writer Peter Robinson. In three new adaptations, Banks must come to terms with dramatic changes to his team, as DS Annie Cabbot's impending maternity leave leads to the arrival of DI Helen Morton as a brilliant, accomplished, but socially inept addition to the Yorkshire Major Crimes Unit. When DCI Alan Ban..
Stephen Tompkinson returns as the tenacious and stubborn Detective Chief Inspector Alan Banks in three gripping crime stories based on the novels by award-winning writer Peter Robinson. Wednesday's Child: When a mother reports her child as having been abducted by a man and a woman masquerading as social workers. Banks is drawn into a strange and unsettling search for the missing young boy. Piece of my Heart: Following the death of a jou..
English detective DCI Alan Banks returns in this fourth series of the popular crime drama with three new, original stories inspired by Peter Robinson's bestselling novels. What Will Survive: DCI Banks struggles to cope with the sudden death of his mother, as he investigates the murder of a young Estonian woman and the disappearance of her drug dependent sister. Buried: Banks must navigate difficult emotional territory when the body of a..
DCI Banks returns for its grittiest season yet with an explosive serial crime story that weaves through three feature length episodes. To Burn in Every Drop of Blood: When the victim of a frenzied attack is found in woodland, the team wonder if it’s a random killing or related to the location - a shrine to a local girl who recently committed suicide there. But when Banks uncovers a link to local crime boss Steve Richards, he becomes con..